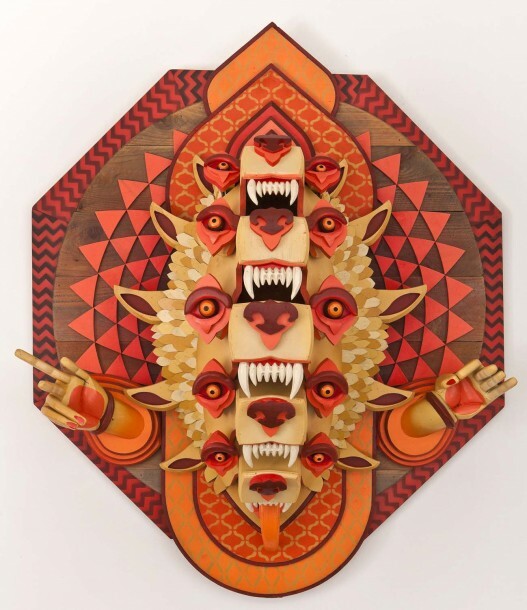 We first took note of Portland-based artist AJ Fosik’s amazing wall-mounted sculptures at Miami Basel in 2006 and have tracked him carefully since. 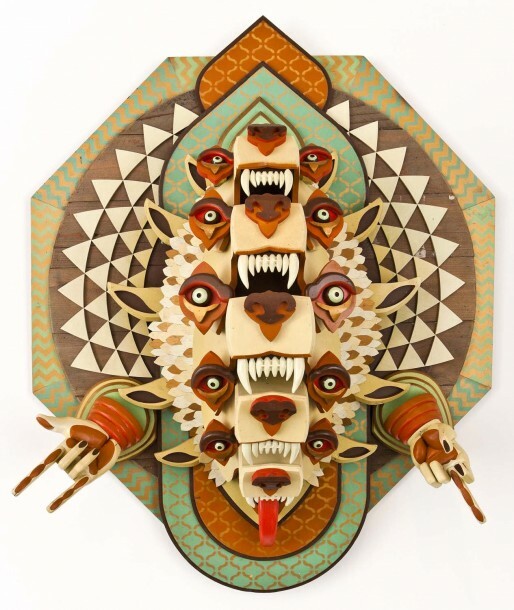 Made of wood, paint and nails, Fosik’s metaphorical and metaphysical creatures seek to betray the process by which lies and fallacies are propounded by religious zealots, shysters, and proselytizers. Vivid, vibrant, and aggressive, the craftsmanship of these works seems to come from a bygone era before digital design when physical skill and attention to detail were the hallmarks of quality. However, the pieces are certainly contemporary in their aesthetic references and active cultural sampling. 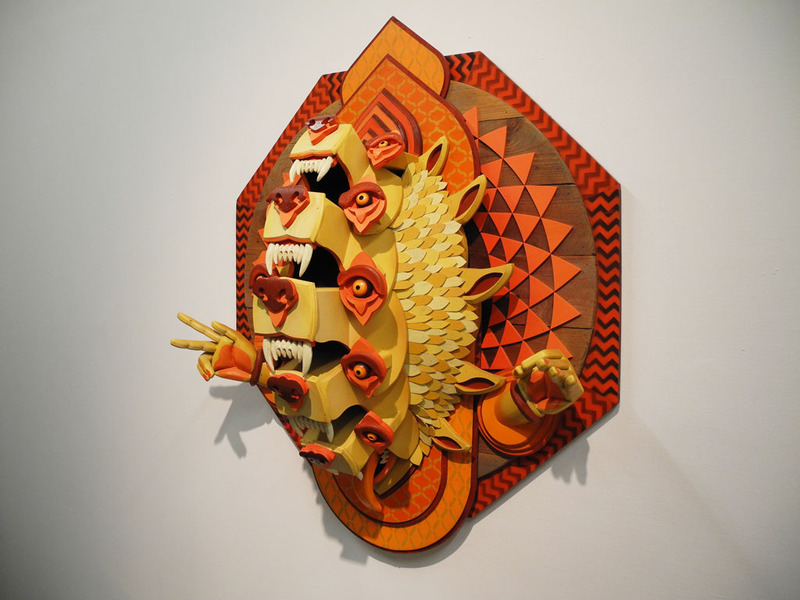 Influences from street art, graffiti, woodworking iconography, religious text illumination, renaissance architectural gargoyles, Japanese manga, and nature are all apparent in his sculptures. Fosik says with these works he intends to “shake complacency and challenge preconceived notions of faith and its power through genuine scrutiny”. Taking a stand against dogma, these amazing three-dimensional pieces celebrate creativity and ingenuity. Review by Randy Gladman for The Ministry of Artistic Affairs. This entry was posted in Exhibition, Uncategorized and tagged AJ Fosik, Guerrero Gallery, Randy Gladman by Randy Gladman. Bookmark the permalink.